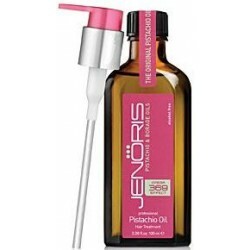 Jenoris - Just Beauty Products, Inc.
Jenoris There are 7 products. 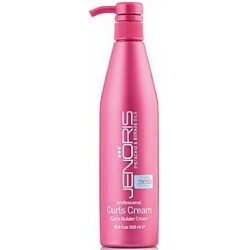 Jenoris Curls Builder Cream. Curls Cream creates and maintains a curly look without thermal or chemical manipulation. 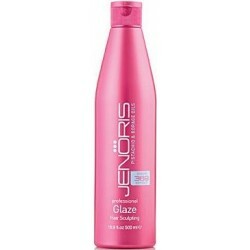 Jenoris Glaze Hair Sculpting. This special Glaze seals in the curls and is highly effective for styling with any desired volume, producing great results even with dry or thin hair. 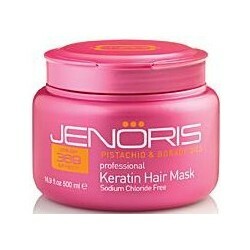 Jenoris Keratin Hair Mask. 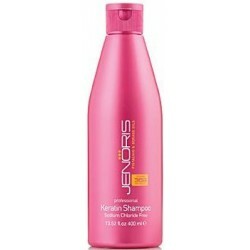 An exclusive formula for chemically treated hair such as Brazilian keratin treatment and others. Keratin Mask improves resistance to breakages and chemical damages, moisturizes the hair and creates a healthy, balanced and vital appearance. Jenoris Moisturizing hair cream. An exclusive cream designed to rehabilitate, nourish and style the structure of the hair. Perfect for dry, damaged, lightened or colored hair. Pistachio Oil Hair Treatment. Aall hair types, protect and rehabilitate hair fibers, prevent split ends and untangles knots. 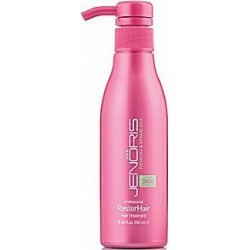 Jenoris RestorHair Cream. Offers triple action in one product: increased hair body texture, volume definition and improved hair strength.